This baby was born with defect in his lungs and after his birth he was immediately taken to Hospital to perform few surgeries. 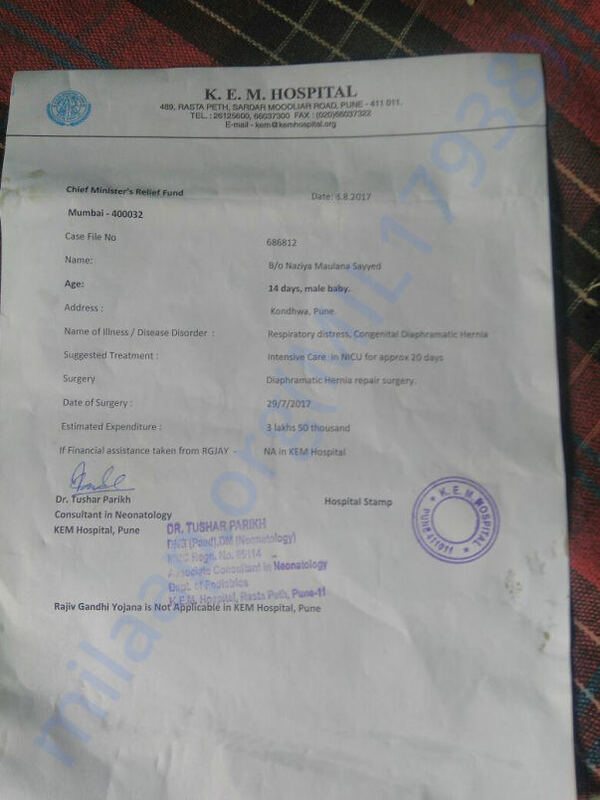 Doctors has already performed 2 surgeries and he is yet to recover. Baby has been kept in NICU since last 17 days. Father of this baby belong to lower income group and his monthly earning is less than Rs. 10,000 so its nearly impossible for him to pay the current charges and the charge which will be incurred further to save the child. 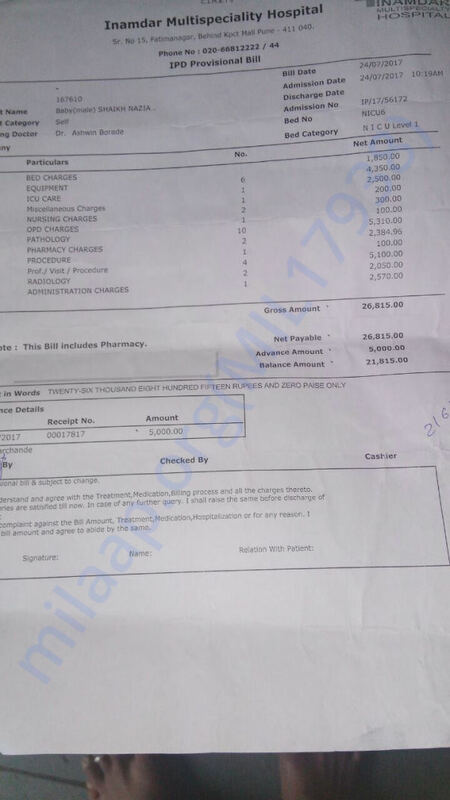 The daily charges of hospital is beyond the reach of his parents and they request everyone to help him save their child. If proper medical attention is not provided then child may not survive. Doctors may require to conduct more surgeries to save the child and this will again add up to extra cost to the family which is already reeling under tremendous financial crisis. 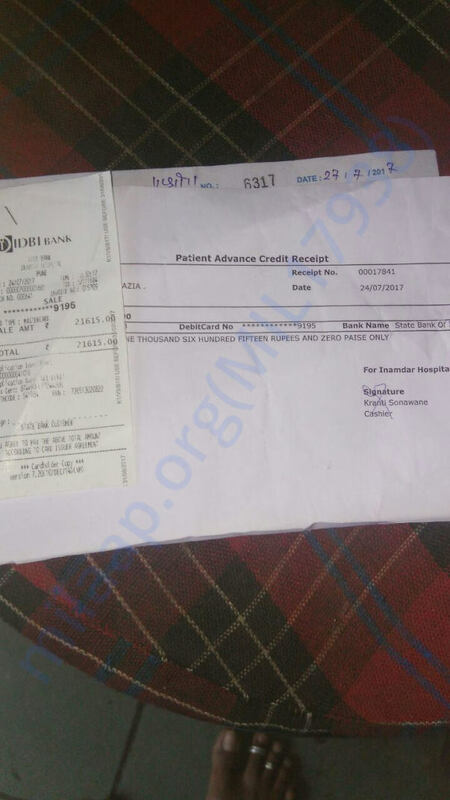 I have attached the medical condition of the child provided by KEM Hospital and bill of daily expenses by the hospital. Your donation will help this child a new lease of life and parents of this child will forever remain obliged with whatever help you extend towards saving this baby.